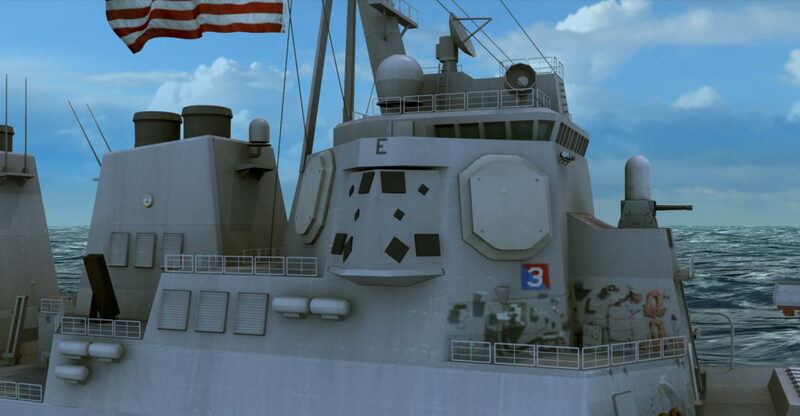 Northrop Grumman Corporation has received authorization to proceed with Low Rate Initial Production (LRIP) of Surface Electronic Warfare Improvement Program (SEWIP) Block 3 systems following a successful Milestone C decision for the SEWIP Block 3 AN/SLQ-32(V)7 program. Milestone C is a government led review to assess a program’s performance and readiness to enter the production and deployment phase. The successful Milestone C decision for SEWIP Block 3 recognizes the accomplishments of the Northrop Grumman and U.S. Navy team in demonstrating the capability of this groundbreaking Electronic Warfare (EW) capability. «Milestone C approval and the start of LRIP are significant milestones for the SEWIP Block 3 program», said Captain Seiko Okano, the Navy’s Major Program Manager of Above Water Sensors. «SEWIP Block 3 is a critical capability that the Fleet needed yesterday to pace the evolving anti-ship cruise missile threat. We must continue to push to deliver this critical electronic warfare improvement to the Fleet on schedule and cost». SEWIP Block 3 is the third in a series of block upgrades of the AN/SLQ-32 Electronic Warfare system which provides Electronic Attack (EA) capability improvements required to pace the evolving anti-ship missile threat. Northrop Grumman has provided electronic warfare expertise to the legacy AN/SLQ-32 EW system for over four decades. With the U.S. Navy elevating the electromagnetic spectrum as a warfighting domain, SEWIP Block 3 is a cornerstone capability that will meet the urgent operational needs of the U.S. Navy in that domain. SEWIP Block 3 provides game changing improved capability for non-kinetic electronic attack options. «I am very proud of the entire team in achieving this significant engineering milestone despite the complexities of pursuing such a demanding technological goal», said Ingrid Vaughan, vice president and general manager, navigation & maritime systems division, Northrop Grumman Mission Systems. «The relentless commitment of the U.S. Navy Program Executive Office Integrated Warfare Systems (PEO IWS) and Northrop Grumman team in developing this revolutionary electronic attack capability will dramatically assist our Fleet in pacing 21st century threats».